Our first prediction for SS18 has to be marble. No surprises there right? Last year we started to obsess over marble tables and everyday the search was on to find that perfect one. We hunted high and low to find the right style in the right size and of course at the right price and it took around six months. Once one of our obsessions takes hold, there is no stopping us. This table is the mother of all tables and has caused tantrums and tears! It weighs in at a hefty 32 stone – can you imagine trying to lift that? The first courier gave up and we nearly lost hope of ever getting it delivered. But then, we found a courier and some lovely guys that did the work for us, so a massive thank you AnyVan.com – such a good service and highly recommended. We feel so lucky and that table with its mighty fine base is the pride and joy of Anna’s home and it is not going anywhere – probably ever at that weight! 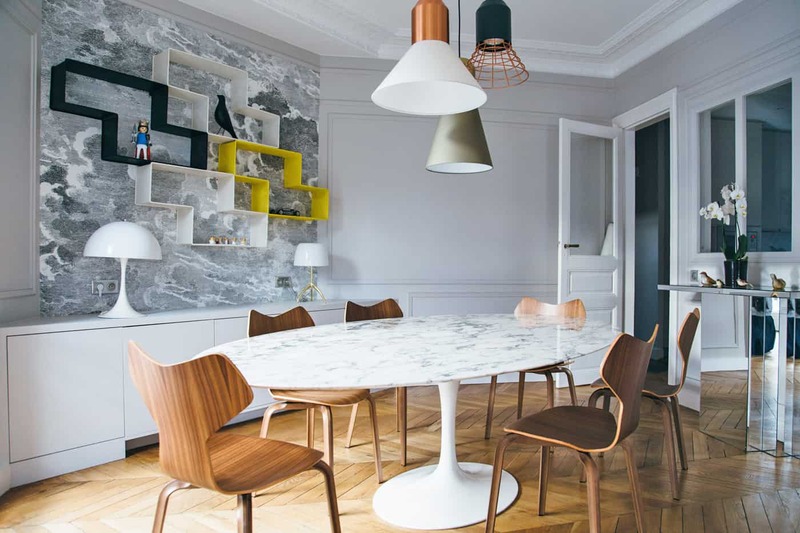 Now if your on the search for one pop over to our marble table buying guide. Today however, we’re looking at some more portable marble options for your home. 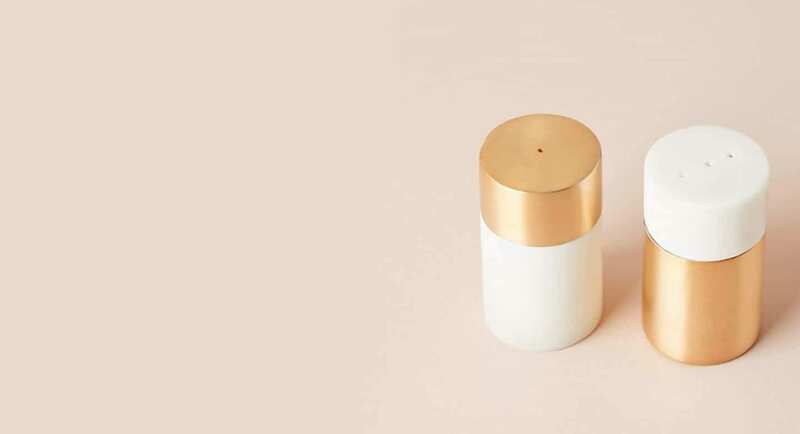 Its not just about tables, marble is big in every department from the base of the light to the cutest salt and pepper pots we have seen. On our trawl of the London flagship stores this month, we were thrilled to see so much marble included in the SS18 ranges that were beginning to creep in. 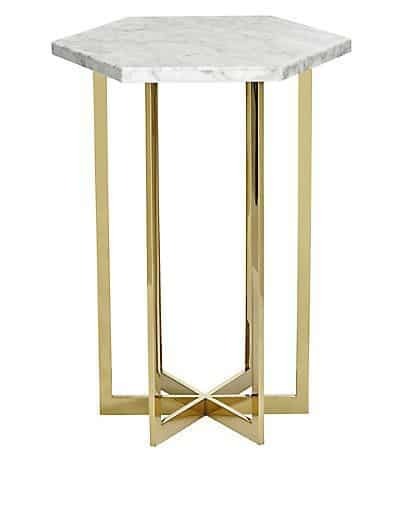 This full-on glam marble topped pedestal side table is from West Elm and is £399. 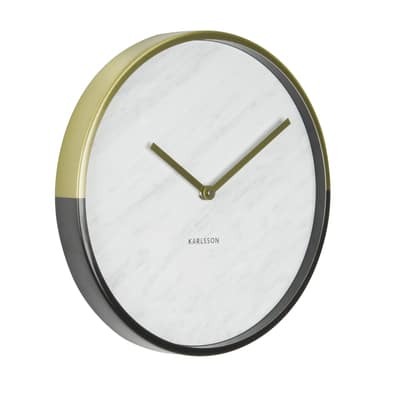 West Elm also has a great range of marble hallway accessories, and what a way to dress your entrance hall! 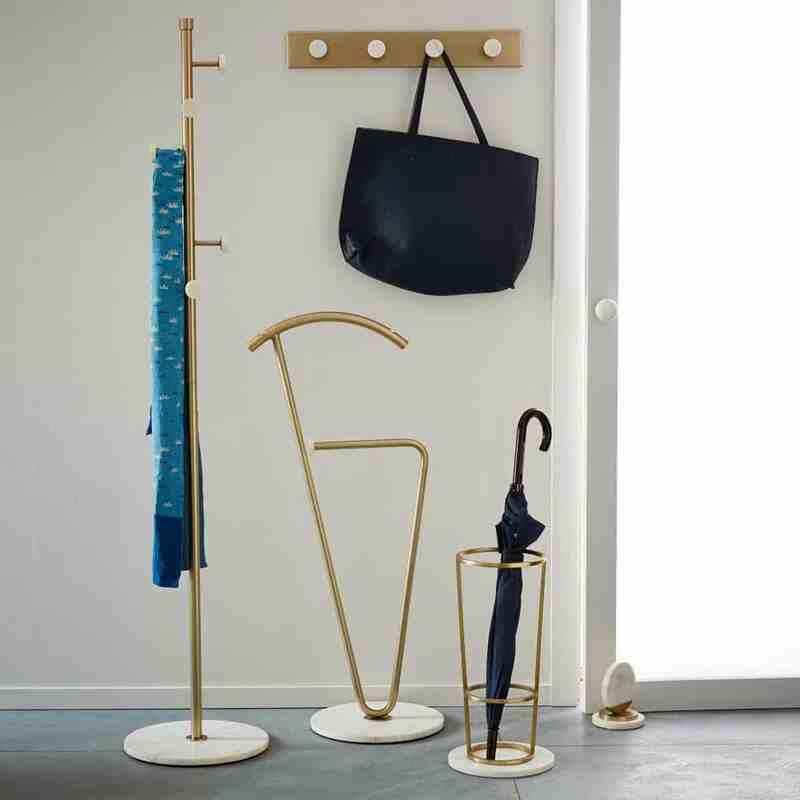 They include a a gorgeous coat stand, umbrella stand and coat hooks. Prices vary for each item. We love these!! Spotted on our trip and a regret for not buying… but fortunately they are available online! 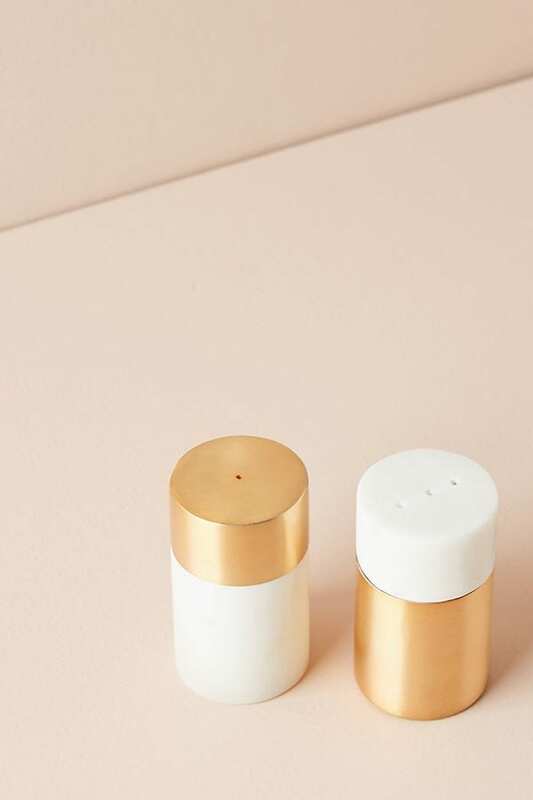 Demi salt and pepper shaker set £28.00 from the amazing Anthropologie. Stunning Elemental layers coffee table. We love the marble top (obvs) but also the gorgeous legs – such great details. 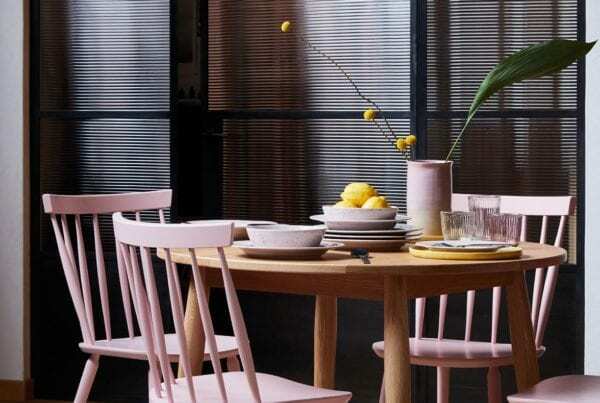 Available also from Anthropologie for £698.00. We love a bit or marble lighting too. This gorgeously simple Bristol Table Lamp is £89.00 from Heals. Heals have some wonderful lighting, definitely worth popping in if you get the chance! 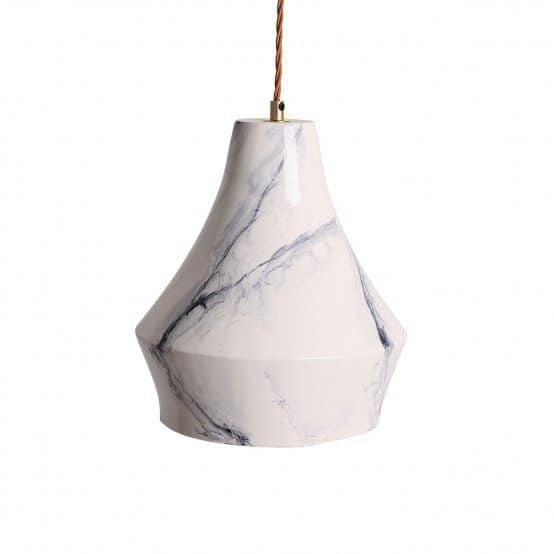 These Marble Pendant Lamps also caught our eye. 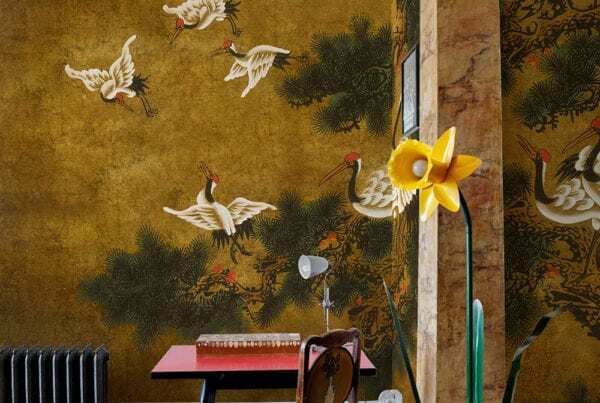 They’s so beautifully made and look fabulous grouped together if you’re budget will stretch. At £245 each they’re an investment but well worth it! 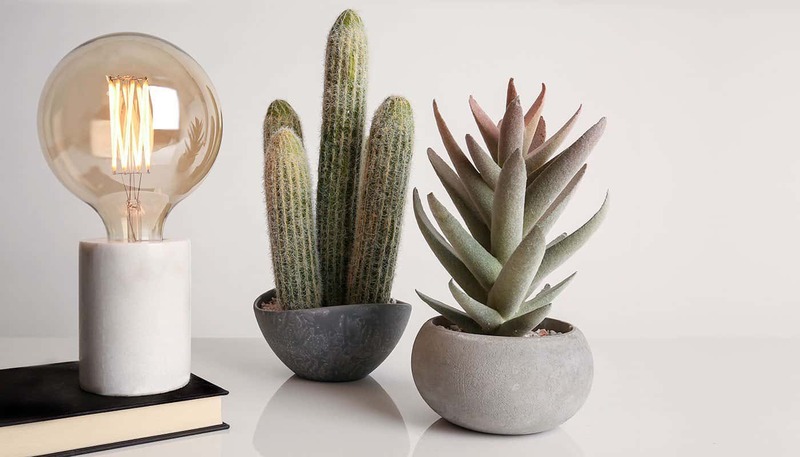 Accessories your home with marble too! 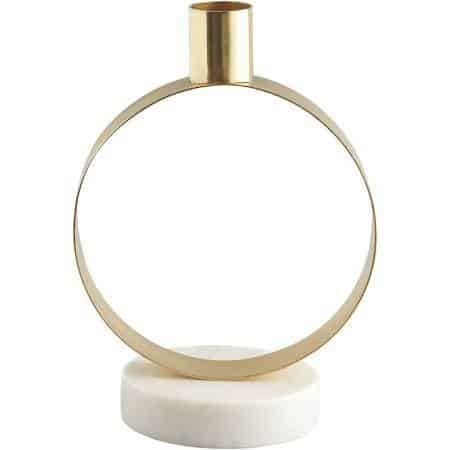 We love Habitat’s range of marble and gold candle holders. Our fave is the Marsden which is £35. How about a clock? 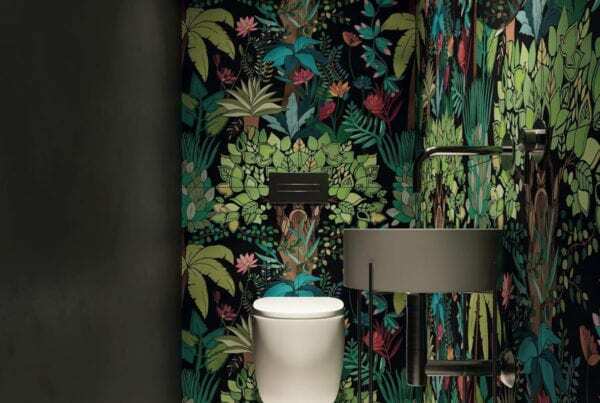 dwell have a lovely dual tones marble one which is lovely. Another side table? Why not! 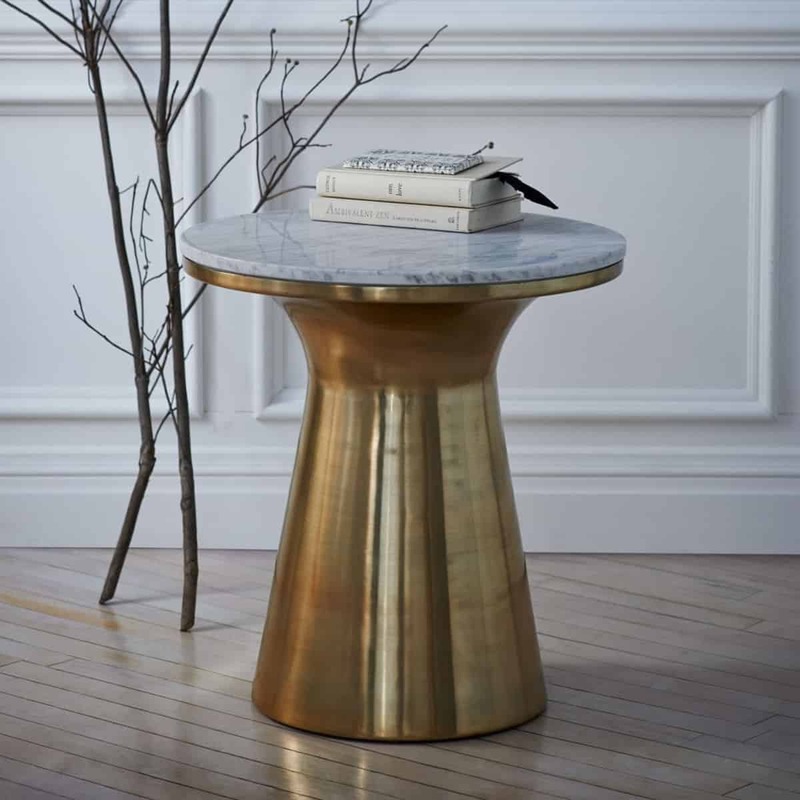 The beautiful Ava side table has a gorgeous base. At just £160 it wont break the bank either. Have you seen BHS’s range of lighting? Its really rather nice! 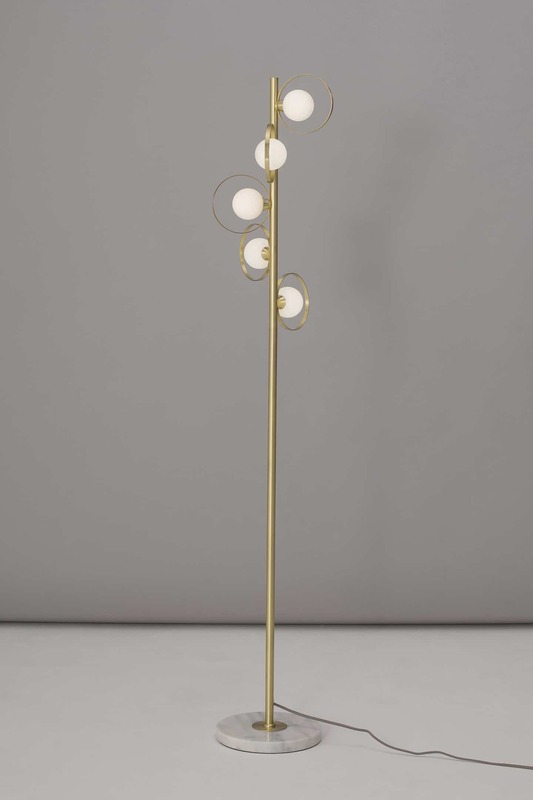 Some marble and gold items in there too… including the Otta floor lamp. Just beautiful and only £130. I’m very tempted by this one! Need some more inspirations? Click the button below to visit our marble Pinterest board.